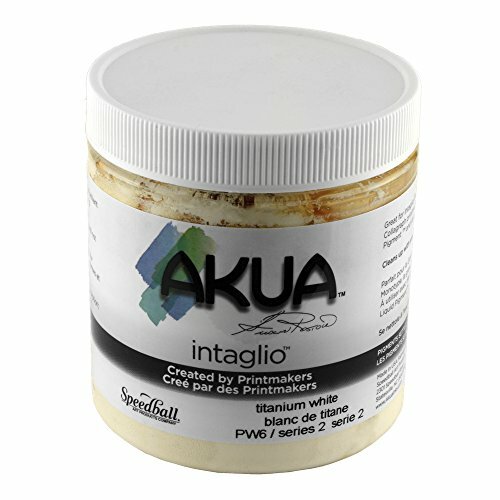 Akua Intaglio ink in titanium white comes in a jar of 8 oz capacity and is formulated for intaglio or etching. water-based soy ink is brilliant, lightfast, non-toxic and easy to use. Ink prints easily on plastic, wood, linoleum or metal plates with no special ventilation. Ink requires no fireproof container and is easily cleans up with soap and water. If you have any questions about this product by Akua Intaglio, contact us by completing and submitting the form below. If you are looking for a specif part number, please include it with your message.